It's an exciting time for Dundee; voted the UK's first UNESCO City of Design and soon to be the site of the V&A Museum of Design. There's plenty to offer in terms of arts and culture. Just take a peek at our list below. DCA - Dundee Contemporary Arts has a packed exhibition programme year in, year out, showcasing the best in local, national and international artists. It's also home to a much loved print studio, providing the city's art students and residents with a resource to create great contemporary art. The McManus - The McManus features a broad range of exhibitions delving into the history of Dundee and Scotland, as well as looking at arts and crafts over the centuries. The museum features many artefacts and collections, some of which have great national significance. A treat if you're wanting to explore Dundee through the ages. Overgate Shopping Centre - A shopping destination for fans of the high street, the centre has a series of shops and eateries that will suit all tastes. Broughty Castle Museum - Gain a snapshot into the history of Broughty Ferry with a visit to this 15th century coastal fort. Along with lovely views of the nearby beach and Tay estuary, you can explore the many sieges and battles the fort has had to endure over the centuries. Dundee Rep Theatre - A key institution within Dundee's cultural landscape, Dundee Rep specialises in creating work for local audiences whilst also making connections with national and international companies and acts. It's a focal point in Dundee's theatre scene, and definitely worth a visit to catch one of the many and varied shows it has on. 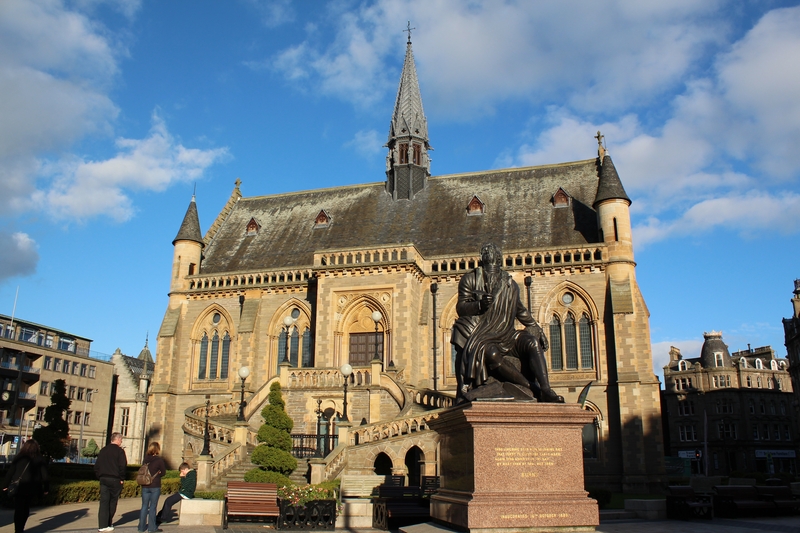 Let us know your suggestions of fun things to do in Dundee in the comments below! Head up 572 ft to the peak of The Law, an extinct volcano formed around 400 million years ago and take in the uninterrupted 360 degree vista of the city and beyond. You can walk, run or cycle to the top if you're feeling active or just cheat and drive up to the viewpoint car park! Visit Discovery Point and climb aboard the RRS Discovery. This Dundee built ship was the ﬁrst vessel to be constructed speciﬁcally for scientiﬁc research. Most famously it was used in Captain Scott's polar expedition to the Antarctic and now forms the main attraction at Discovery Point on the waterfront. The Verdant Works, a heritage museum telling the story of Jute and the impact it had in the development of Dundee, is alot more interesting than you may first think. The short film at the beginning really helps you appreciate the scale of the industry and how much it affected the lives of everyone living in the city. View one of the best collections of 16th and 17th Century memorials at The Howff. The cemetery was originally the gardens of the Grey Friars Monastery before the land was granted to the burgh as a burial ground in 1564 by Mary, Queen of Scots. It became known as The Howff as it was used for meetings by the Dundee Incorporated Trades until 1776 (Howff is an old Scots word meaning meeting place). For an alternative evening out head to Britain’s first purpose-built public observatory which sits on the summit of Balgay Hill. Visit Mills Observatory on weekdays during the evening and you can admire the city lights from the viewing platform or watch the stars and planets through their powerful telescopes. If you're visiting Dundee don't forget to travel a few miles east of the city centre and visit the seaside town of Broughty Ferry - it's very easy to reach by car or by bus. The 'Ferry' as it's known to locals is full of fantastic little independent shops, cafes and bars. A great beach on the sunny or stormy days and Broughty Castle is free to visit. Top tip - buy a homemade ice cream from Visocchi's in Gray Street or have a tea and cake stop in Goodfellow and Steven's bakery and cafe. Camperdown Country Park is a great place for the kids. I used to love running down the hill, watching remote-controlled boats on the pond, and visiting the wildlife centre to see the bears and the marmosets! Print off Dundee Women's Trail (www.dundeewomenstrail.org.uk) and walk around the centre of Dundee to discover some amazing Dundee women, such as Mary Ann Baxter who founded University College, the forerunner of the University of Dundee, and Margaret Fairlie who was one of the first women to study medicine at St Andrews and pioneered the use of radium in the treatment of cancer. McManus Galleries is a fantastic visit- and free! Remember to look out for the Tay Whale when at McManus Galleries. If the weather is nice you could walk up the Law - the highest point in Dundee - to see the sunset (or the sunrise if you're an early bird!). A walk across the Tay Road Bridge - one of the longest road bridges in Europe - or a walk along Dundee's beautiful waterfront can also be a nice way to enjoy the city. There are also a number of very good coffee shops and cafes in Dundee, where you can spend a few hours relaxing with a hot drink and good food. We've never been to Dundee, now we have plenty of reasons to plan a visit.